HEARTS, the Port Washington-based nonprofit that funds local arts programs through grants, has announced its 2018-19 recipients. There was one program that was open to all schools in the district — a district band performance at the Tilles Center that was open to grades five through 12 — and a summer music scholarship program that was open to elementary and middle school students. Four programs were open to the district’s five elementary schools: an after-school ceramics and painting class, a dance class, and two different sessions under the popular “Curtains Up” program. 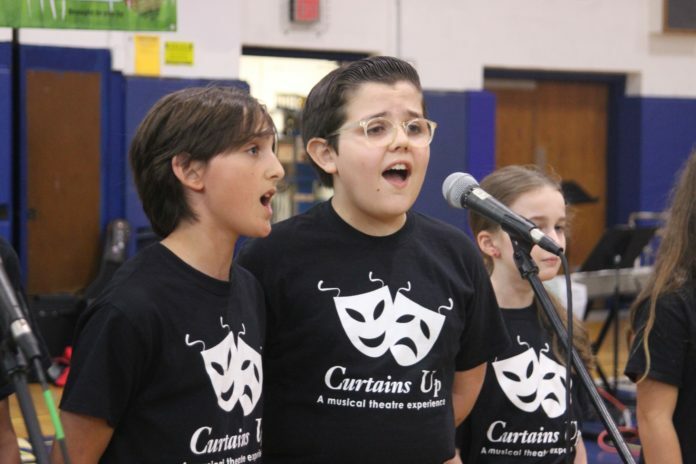 The spring program allows fourth- and fifth-graders to put on a musical, while the fall theater workshop will help prepare them for that experience. On top of that, the John J. Daly, Manorhaven and South Salem elementary schools will each have their own arts programs, primarily concerning dance and theater. Carrie Palmer Weber Middle School will have eight programs. While there will be more traditional arts programming — like a woodwind and brass ensemble and pop choir — there will also be plenty of opportunities for students to work with tech. There will be a video production class, an AV Club and “Full STEAM Ahead,” which will teach students how to use technology to create music. There will also be eight programs at Paul D. Schreiber High School. In addition to three theater programs, students can learn how to fuse glass or help paint a mural at the high school. For those who have already graduated from high school, HEARTS has provided six community programs. Among the grants are a painting class at the Port Washington Senior Center and a master class at Landmark on Main where residents can be trained in acting, singing, music, screenwriting, directing and more. Posner declined to give the sum of the grants, saying that figure was known only by the board of directors. “We want people to know that we are supporting the programs without having to put a dollar value to it,” she said.